By Wolfgang Amadeus Mozart. Violin 1 part. Published by C.F. Peters. By Wolfgang Amadeus Mozart. Cello part. Published by C.F. Peters. By Wolfgang Amadeus Mozart. Edited by Kraus. For SSB, piano (or 2 violin, violoncello). (K.346,436/9,549)(It-Ger) . Full score. Published by C.F. Peters. By Wolfgang Amadeus Mozart. Violin 2 part. Published by C.F. Peters. By Gail Smith. By Gail Smith. For piano. Solos. Archive Edition. Classic. Level: Beginning-Intermediate. Book. 130 pages. Published by Mel Bay Publications, Inc.
Edited by Harvey Vinson. Guitar solo book for guitar. With standard notation (no tablature) and fingerings. Series: World's Favorite Series. 127 pages. Published by Ashley Publications, Inc.
By Various. Edited by Herrmann. For violin, piano. 12 Pieces by Bach,Beethoven,Gluck,Hand el,Mozart,Sch. Published by C.F. Peters. Edited by Amy Appleby. Collection and examples CD for easy solo piano. Over 200 great masterpieces from the baroque, classical, romantic and modern eras. Series: Piano Treasury Series. 399 pages. Published by Music Sales. Edited by Amy Appleby. Collection and examples CD for solo piano. Over 125 great masterpieces from the Baroque, Classical, Romantic, and Modern eras. Series: Piano Treasury Series. 399 pages. Published by Music Sales. 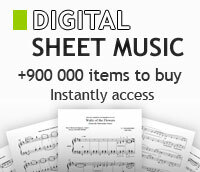 Ce recueil réunit des compositions originales de Mozart, sous la forme de versions simplifiées arrangées pour piano solo. Le CD aidera les pianistes les moins chevronnés.